Due to the significant increase in construction costs the Development committee took the decision that we needed to reduce the overall build costs. We are working with our Architects Stride Treglown on a revised plan as part of the next stage of the project. The initial draft we showed at the coffee morning would result in a reduction of 27% in the footprint but allow for future expansion. The main reduction comes from reducing the size of the main hall, which would still accommodate 260 (Memorial hall – 150, Old School Rooms – 120). The reduced footprint will still mean we would meet our vision of providing a multi-use quality building to meet the needs of the village. We are now reaching the stage of looking at the fine detail of the design, the finishes etc. and are looking for people to be involved in helping us get this right first time. We be at the village fete on Saturday, come and have a chat. Over the past couple of weeks a burglary occurred at High Street, Congresbury. Access gained into the property but there are no details as to any items stolen. Fifteen gardens are opening for your delight to raise money for the new village hall. Delicious home-made teas will be served, and who can resist that? There’s something for everyone to enjoy. Be amazed at a collection of Bonsai, amused at scarecrows, go potty about potting sheds and wowed by a secret cottage garden, smell the flowers, hear the birds, and eat the cake. £5 entry includes all gardens, children free. Generously sponsored by Debbie Fortune Estate Agents. 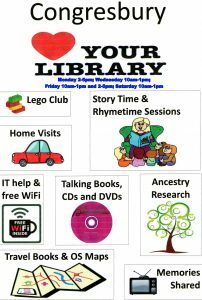 Free programmes available at the Post Office and Day Lewis Pharmacy. Our event has been shared on opengardens.co.uk and Facebook page Making Memories. Visit us on our Facebook Page Congresbury Garden Trail where you can download a map of the gardens. Gladman Appeal Rejected by Inspector! Planning inspector Anne Jordan has rejected the appeal by developers to build up to 50 houses on land off Wrington Lane, Congresbury. Love Congresbury – This Weekend!!! This coming weekend Love Congresbury festivities coincide with the Great Get Together, a series of nationwide street parties, bake-offs and picnics being held in memory of murdered MP Jo Cox. Lots of fun events on the Millenium Green & around the village culminating on Sunday afternoon with the big ‘Party in the Paddock’ starting at 2pm.. Bring the family for a great afternoon of fun & music!! Spend your summer in the convivial and relaxing surroundings of Congresbury Bowling Club, off Mill Leg. Three gardens are opening their gates on Sunday 11th June for the National Garden Scheme. A warm welcome awaits you at Fernbank, Church House and Laburnum Cottage from 10.30am-4pm. Church House Designs will have a special exhibition of crafts on display and Fernbank will be serving delicious home-made teas. There’s something for everyone, from bonsai and sculptures to potting sheds and birdsong. Adults £5 accompanied children free. See our Facebook page for photos, map and info. Congresbury Residents Action Group – CRAG – along with eight other North Somerset groups, is seeking assurances from potential MPs in two parliamentary constituencies before people vote on 8 June. The groups, known collectively as North Somerset Village Alliance, are sending a series of questions to all candidates in Weston and North Somerset. The questions are designed to elicit the views of each candidate on unrestricted development. On behalf of residents, the action groups want to know their opinions on housing and jobs, on traffic growth and subsequent pollution. The groups also want to know how the candidate would demonstrate a commitment to the rural aspect of the county. CRAG’s Mary Short said: “Our county is a splendid mix of seaside, industrial, agricultural and rural landscapes threatened by unrestricted development. A member of one of Congresbury’s oldest families, George Gosling, has died at the age of 81. George was born in Brinsea Road, in a family of nine children, whose father Frank ran the timber business of T. Gosling & Son. Three of his brothers, John, Donald and Brian, joined the family business, but George favoured his mother’s family, the Edwards, who were all farmers. 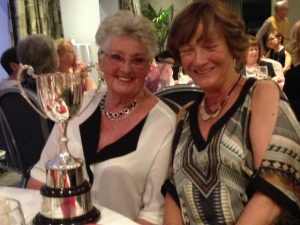 Congresbury skittlers Leila Storey and Chris Andrews were presented with a trophy for winning the South Avon Ladies pairs competition at a dinner and dance held at Double Tree Cadbury Hotel & Spa. Leila was also presented with the Candy Ballam Memorial Crystal Cup for the highest score in the pairs and individual competitions. It was an emotional time for Leila. Candy, who died in 2015 and formerly lived in Congresbury, for many years was captain of the Clangers Skittles Team, which includes Leila and Chris. 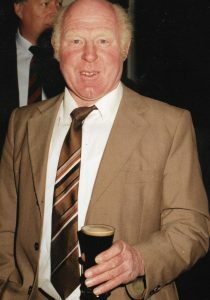 Andrew Sheppy whose sudden death at the age of just 68 has stunned many, was a well recognised figure around the village. The archetypal rustic, in his well-worn boiler suit, dirty green wellies, shapeless hat and bushy beard, his educated tones when he spoke came as a shock. But Andrew was a man of many talents, devoted not only to his rare breed Dexter cattle and poultry, but also a musician of some renown, organist, choir conductor, and possessor of a fine bass voice. Congresbury Youth Partnership will be holding their Annual General Meeting on Tuesday July 18th. 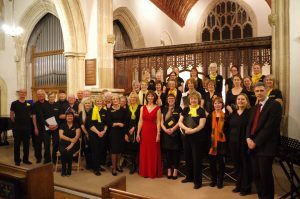 On Saturday 24th June Congresbury Singers will be celebrating 40 years of singing in Congresbury with a concert in St Andrews Church reprising favourites from those 40 years. 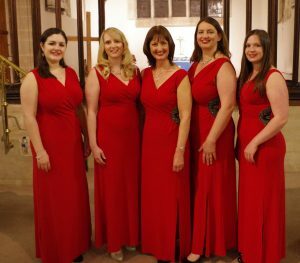 Every seat was filled in St. Andrew’s church, Congresbury on the first Friday in April, for an upbeat evening of songs from musicals and films, which set the appreciative audience tapping their feet and humming along. 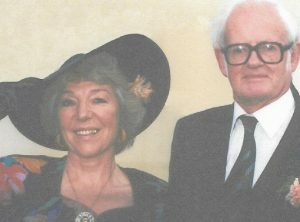 Villagers representing facets of Sylvia Jago’s 84 years of activity were among the congregation in St. Andrew’s Church, Congresbury, for a celebration of her life on April 4th. 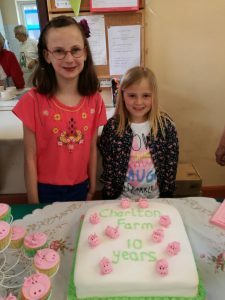 Pink was the theme of the anniversary coffee morning in Congresbury Methodist Hall, celebrating 10 years since Charlton Farm Children’s Hospice at Wraxall was opened, and 25 years since the first children’s hospice in the south west was established in Barnstable. Every seat was taken at the attractive tables, as over 50 supporters, of all ages, participated in tasting the delicious cakes, made by Pam Stewart and delightfully decorated with pink pigs. 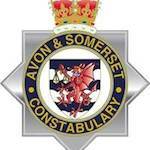 Police report an intruder was spotted on April 15 in property at Wrington Road, Congresbury. When challenged the female intruder left. Nothing was believed to have been stolen. On April 16, a vehicle parked at Winscombe was broken into and items stolen. During the evening of 10 April a burglary occurred at a farm at Iwood Lane, Congresbury. Entry was gained by breaking window and items stolen include cash, laptops and a radio. Please ensure sheds, garages and outbuildings are kept secure with good quality locks, hinges and door furniture. Consider securing valuable equipment with extra chains and padlocks. Property mark tools and equipment and consider alarming the buildings. Overnight 2-3 April a garage at High Street, Congresbury was broken into. It is thought that the offender prized open the door of the garage to gain entry. Entry was then gained to an insecure vehicle inside the garage and cash left in the vehicle was stolen. Over the same period there was an attempt made to break into a garage at Gooseham Mead, Congresbury. There was damage caused to the door but no entry gained. Devon & Somerset Fire Brigade have asked that a warning go out regarding safety of tumble dryers and a copy of their document is attached for your information. 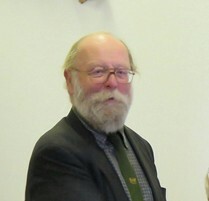 After three and a half days of close argument, CRAG’s team at the Wrington Lane public inquiry, ably led by Peter Walton, are quietly hopeful of a positive outcome. Praise for CRAG’s efforts came from District Councillor Tom Leimdorfer who said he was immensely proud of the village. “We knew that we were up against land agents with very deep pockets using top experts and an aggressive business model,” he said. Friday’s session ended with evidence from two important witnesses for Gladman. The first, a landscape architect tried to argue that 50 new houses in a field would not alter the character of the surrounding area. The second, Gladman’s town planner, tried to convince the inspector that because North Somerset could not prove a five year supply of land for development, their appeal should be allowed. 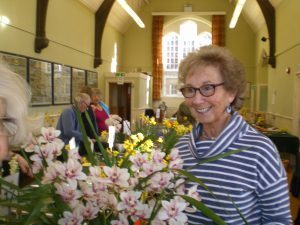 A difficult Spring for local gardeners did affect the entries at the Congresbury Horticultural Society Spring Show on Saturday, but villagers pulled out all the stops and produced a colourful and enjoyable event. Show Secretary Lyn Bacon summed it up when she said that the warm weather encouraged all the daffodils to open early, and they were then drastically damaged by wind and rain. However the Old School Rooms still blossomed with a feast of colour and perfume, and, once again, children’s entries were numerous and fascinating. Abundant flowers decorated Congresbury Methodist Church for the Thanksgiving service of Betty Sutton, on March 6th, reflecting that many of her 90 years of life, centred on flowers. Born in Oldmixon, Betty attended Hutton village school, and then moved to Weston-super-Mare, where she was a Girl Guide and joined the Red Cross. She met her husband Derrick at a village dance when he was stationed at R.A.F. Locking. Aged 16, she moved to London and worked as a Red Cross nurse in the Soho Women’s Hospital, before returning to the West Country to train as a State Registered nurse at Bristol Royal Infirmary. Congresbury Scouts love to be outdoors and do a lot of hiking and camping. Scouts grow very fast, and for some families, it’s a real struggle to keep them in suitable warm clothing and footwear for activities. Leaders have had a number of occasions when young people have not been able to enjoy their outdoor activities just because they have been too cold and wet. We have decided to address this by setting up a kit exchange within the group, so that outdoor gear can be passed down to those who don’t have enough of their own. To get this ball rolling, we need to assemble a reasonable stock of various sizes that are available for exchange. We are looking for waterproof jackets, trousers, gloves and gaiters especially, and for walking boots in various sizes. If anyone has that sort of stuff hanging around outgrown or unloved, we would love to hear from you.